I've been expanding the georeferenced collection of Oakland maps that Gem and I started back in May. 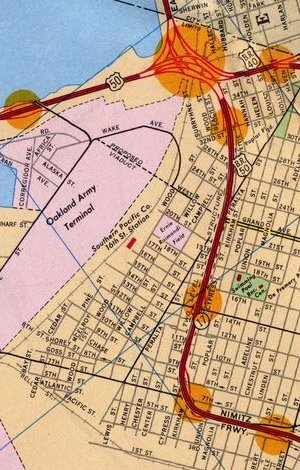 Recently, I purchased a 1967 Standard Oil map of Oakland for a few bucks from EBay. I was looking for late 1960's / early 1970's, because that's when the freeway structure here really started to take shape. Previously, we looked at a switch from rail to roads. Through the 50's and 60's, the switch was accelerated with the construction of massive highways through what had formerly been residential neighbhorhoods. The 19th anniversary of the quake was October 17th, one month ago. The new 1967 map is a striking constrast to the previous 1952 map. The various freeways connected to Interstate 80 are one major difference, but the cartography is also a big contrast. This map is similar to the other Gousha-designed map from 1936 in its choice of bright colors, but it also features topographic shading up in the hills and orange highlights around freeway exits. A significant piece of infrastructure still under construction at this point is the 980 / 24 connector from downtown Oakland up into the hills toward the Caldecott Tunnel. The construction areas for the southern stretch are marked, while the northern route is still a whispy dotted line through miles of backyards. Are you a talented developer interested in supporting our data visualization and mapping practice from the server end of things? Are you interested in a full-time gig at our San Francisco office? You'll be working with a small team of designers and engineers who will be looking to you to make their ideas feasible. You're excited by the possibility of cutting and bending data to fit it through the thin straw of the internet. You can look at a source of information and model it as resources, rows and columns, messages and queues. Our technology choices lean towards open source databases, unix-flavored operating systems, and scripting languages like Python and PHP. You'll be expected to know these things, and bring something new and unexpected besides. Earlier this morning, I returned from a four-day spin through Tokyo, my second visit there, to speak at Web Directions East. This trip was wholly unexpected, as I was pinch-hitting for Jeff Veen who had to cancel at the last minute and suggested me as a replacement. Fortunately it was possible to book a last-minute flight, take over a hotel reservation, and write an hour-long keynote talk in just a few days. 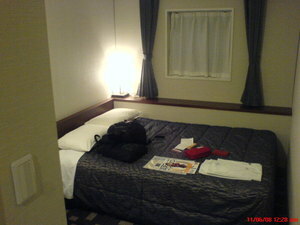 It was an surprise honor to even be asked, and the experience was smooth sailing all the way, including the miniature hotel room. Mark Newman's 2004 election cartograms. I learned from Karl that they'd been freshly updated to reflect last week's results. 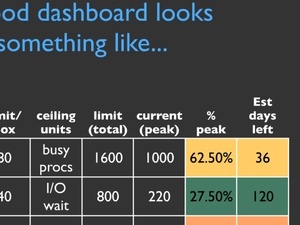 Examples of flow-management including 538 and John Allspaw's Flickr capacity-planning ideas. Our 2004 MoveOn Virtual Town Hall application, for the first time in what seemed like years. It would be amazing to revisit this project again somehow, possibly in a non-political context. Digg Labs, in the context of "liveness", from our Live/Vast/Deep iron triangle of visualization. 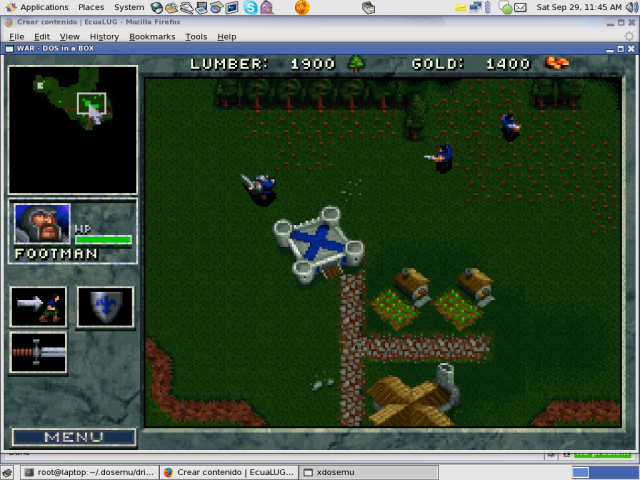 Trulia Hindsight and Snapshot, as examples of "vastness". The hot, fresh, new SFMOMA ArtScope as an example of "deepness". 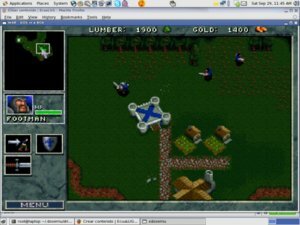 This also served as a nice digression about map tiles, something I've been thinking and talking about a bunch. Oakland Crimespotting to round out some ideas about stable linking and data on the web. I also heavily name-checked Tom Coates's Native To A Web Of Data and Matt Biddulph's Designing Data For Reuse here. 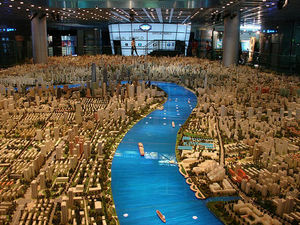 A few people asked after the source of a particular background photo from my slides - it was an image of the Shanghai Urban Planning Museum's city model, possibly gaffled from blog.360dgrs.nl. In addition to meeting the other speakers and organizers, John, Oli, Andy, Jeremy, Eric, Dan, and Doug, I also had a chance to take an excellent nighttime Tokyo bicycle and beer ride with Craig and Verena that made me wish SF and Oakland maintained the pavements a bit more effectively. 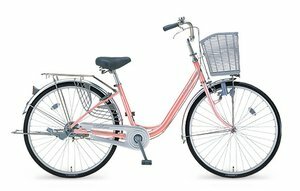 I now desperately want to add a third bike to my collection, a mama charion granny bike. It's been a while since I've done one of these, I'm a bit rusty. I started Cognition In The Wild over a full year ago, put it down for a while, and only recently came back to finish the book. The topic is cognitive activity, and how it plays out in social situations. Sort of a behaviorist tract in a way, which is interesting because the idea that everyone loved to hate (everyone in UC Berkeley CogSci department ten years ago that is) is starting to pop back up in some odd places in my life: this book, another one about politics from 1908, Obama's economic policies, etc. Edwin Hutchins frames his story in the context of an observational trip aboard a U.S. Navy vessel, the Palau, and its crew of sailors and navigators. Hutchins particularly concerns himself with the way in which practice and instrumentation constitutes a meta-cognitive process above the level of the individual: the observations and computations that enable the crew of the ship to steer it are carried out by a collection of participants, some of them quite inexperienced, all of them performing small pieces of a bigger task. Together, they form a complete computational process, a sort of full adder made of half adders. He's particularly interested in the instrumentation that lets these guys do their jobs: slide rules, sighting scopes, variations on the protractor, and conventions surrounding verbal communication on the bridge and over the ship's intercom. Hutchins's theory seems to be that these devices and practices act as a form of cognitive jig, embodying complex trigonometric and geometric processes in tangible form the way a slide rule converts multiplication into a simple linear movement. I've been interested in this idea before, via David Pye's Nature and Art of Workmanship. Pye argued that a lot of what we consider to be "hand work" is actually jigged and regulated through external forces. Pye calls unregulated workmanship "the workmanship of risk", and it's an interesting contrast to the kind of cognitive risk minimization that Hutchins is describing here. There's joy in navigation by dead reckoning as in risky, dextrous workmanship, but the U.S. Navy is having none of it and prefers its interpersonal procedures immaculately specified to the finest detail. The place where I think this touches some of my recent interests in tiling and flows is that the purpose of a jig is to turn the latter into the former, to transform fluid into constrained motion. In particular I'm thinking about by most recent favorite general-purpose example, the use of "remaining days" as a transposed operations metric by Flickr's capacity planning guru John Allspaw. Flickr takes one kind of motion, the consumption of storage space or saturation of network bandwidth, and transposes it into another kind of motion, the number of days they're free to sit on their hands until everything falls to pieces. There's an extended example in Hutchins' book that's similar in spirit to this, and it forms the only coherent set of pages I bothered to dog-ear. As a counterpoint to Western-style navigation that places a moving boat in the context of a static ocean, he offers an in-depth analysis of Micronesian navigation practices that proceed along utterly different lines and yet still allow canoe navigators to travel between tiny islands out of sight of land without losing their bearings. 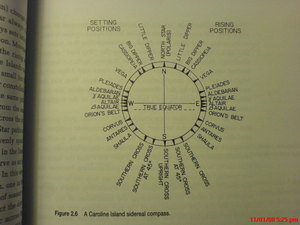 The background to this alternate navigation frame is rote memorization of angular relationships among islands, but the surprising bit is the way it recontextualizes the navigator as a static center with respect to the sidereal compass, surrounding islands moving past him on parallel tracks to the left and the right. These excerpts constitute my first donation to the Analogy Library. That Flickr capacity thing above is my second. Also worth a read is UPenn's Traditional Navigation in the Western Pacific: A Search for Pattern, written by 1989-2003 This Old House host Steve Thomas. Without recourse to mechanical, electrical, or even magentic devices, the navigators of the Central Caroline Islands of Micronesia routinely embark on ocean voyages that take them several days out of the sight of land. Their technique seems at first glance to be inadequate for the job demanded of it, yet it consistently passes what Lewis has called "the stern test of landfall." ... Western researchers traveling with these people have found that at any time during the voyage the navigators can accurately indicate the bearings of the port of departure, the destination, and other islands off to the side of the course being steered, even though all of these may be over the horizon and out of sight. These navigators are also able tack upwind to an unseen island while keeping mental track of its changing bearing - a feat that is simply impossible for a Western navigator without instruments. The world of the navigator, however, contains more than a ser of tiny islands on an undifferentiated expanse of ocean. Deep below, the presence of submerged reefs changes the apparent color of the water. The surface of the sea undulates with swells born in distant weather systems, and the interaction of the swells with islands produces distinctive swell patterns in the vicinity of land. Above the sea surface are the winds and weather patterns which govern the fate of sailors. Seabirds abound, especially in the vicinity of land. Finally, at night, there are the stars. Here in the Central Pacific, away from pollution and artificial light, the stars shine brightly and in incredible numbers. All these elements in the navigator's world are sources of information. Seeing the night sky in terms of linear constellations is a simple representational artifice that converts the moving field of stars into a fixed frame of reference. This seeing is not a passive perceptual process. Rather, it is the projection of external structure (the arrangement of stars in the heaves) and internal structure (the ability to identify the linear constellations) onto a single spatial image. In this superimposition of internal and external, elements of of the external structure are given culturally meaningful relationships to one another. The process is actively constructive. It is tempting to criticize the Caroline Island navigators for maintaining an egocentric perspective on the voyage when the global perspective of the chart seems so much more powerful. Before concluding that the Western view is superior, consider the following thought experiment: Go at dawn to a high place and point directly at the center of the rising sun. Return to the same high place at noon and point again to the center of the sun. That defines another line in space. I assert that the sun is located in space where those two lines cross. Does that seem wrong? Do you feel that the two lines cross where you stand and nowhere else? Our everyday models of the sun's movement are exactly analogous to the Caroline Island navigator's conception of the location of the reference island. The choice of representations limits the sorts of inferences that make sense. All navigation computations make use of frames of reference. 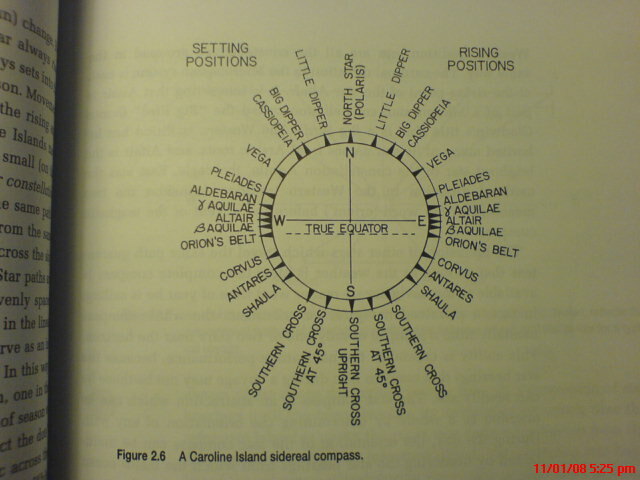 The most prominent aspect of the Micronesian conception is the apparent motion of the etak island against the fixed backdrop of the star points defined by the sidereal compass. Here there are three elements to be related to one another: the vessel, the islands, and the directional frame. In order to preserve the the observed relationship of motion parallax, one can have the vessel and the directional frame move while the islands stay stationary (the Western solution) or one can have the vessel and the directional frame stationary while the islands move (the Micronesian solution). ... Each of these schemes makes some things easy to compute and other difficult.